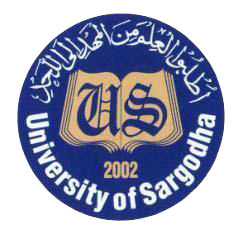 Sargodha, University of Sargodha has announced the UoS Final Exams Admission Forms Submission Schedule 2019. The students are asked to check the complete schedule of sending the admission forms and they will send their application forms till the closing date of 06-2-2019 and the students will forward their admission forms with the double fee till final date of 11-2-2019. The students will read the instructions and they will follow the UoS final exams schedule 2018 admission formsand they will read the rates of the admission fee.